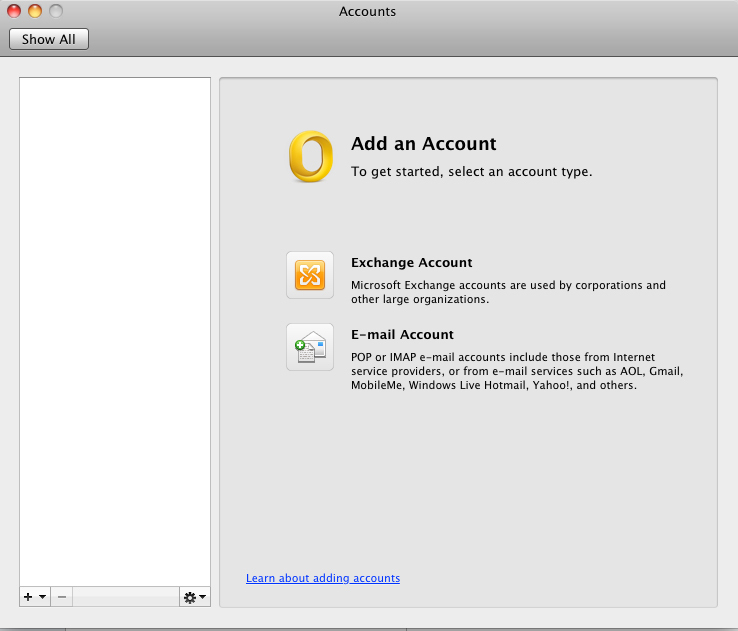 How do I setup my email on Outlook 2011 for a Mac? As a courtesy we have provided this information about how to conifgure your account in this product, but we do not endorse or directly support third-party products, and we are not responisble for the functions or reliability of the the product. The following directions are for adding a new account. 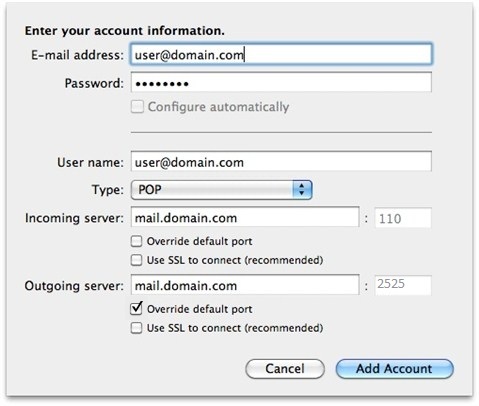 If the account already exists in your email client then you will need to simply edit the account settings to match those outined in http://knowledge.3essentials.com/web-hosting/article/1798/How-do-I-configure-my-email-client.html. 1. Click Tools and then select Accounts. 5. A dialog box asking whether to allow Outlook to access your keychain will appear. Click Always Allow if you want Outlook to be able to remember you username and password. Otherwise you will be prompted for the user name and password each time you send or recieve email. 7. In the More Options window, change the popup menu for Authentication to Use Incoming Server Info.